A little while ago I had some chat back and forth with a random photographer on Twitter. I looked at his portfolio and I was really impressed. Miles Willis is a freelance photographer who is part of the Getty Images Global Assignment Team, and he has made some brilliant images for an impressive range of clients. As a result I was happy when Miles got in touch to ask if I was around one day to help out with a corporate shoot as both an assistant and a second shooter. The shoot was a full-on day of photography for Getty Images Gallery. 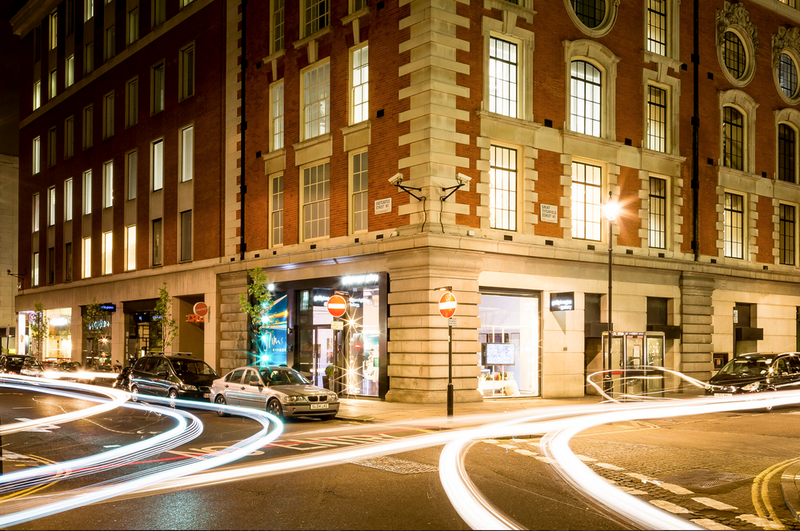 The gallery, based in Soho on Eastcastle Street in London, is a showpiece for beautiful photographs that are part of the vast Getty Images archive. It's also a great space for events, be they private parties or business functions. It is the event space which Miles and I were tasked with photographing. Starting early in the morning, our first task was to capture the gallery space empty, without anyone in it and with just a few people. The gallery was holding a dinner party in the evening for about 40 people, so throughout the day the space became busier and busier as tables arrived, more staff arrived and eventually guests arrived. The catering company were also keen to have their own promotional photos taken, so there was more than one client in this instance. During the day, Miles and I did almost every different type of photography imaginable - interiors photography, exteriors photography, product photography, food photography, event photography, PR photography and Miles also did some amazing 360 panoramas. Check out the panoramas he does on his website - very cool. Having arrived before 9am, we ended up leaving the gallery at 10.30pm. It was a long, exhausting but ultimately rewarding day. Here's a selection of the shots from the day - most of them were taken by Miles with my assistance but there are a few reportage style shots I squeezed in during the event in the evening.